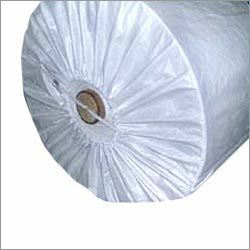 We manufacture and supply HDPE/PP laminated fabric for making bags, tarpuline alongwith Paper laminated with HDPE/PP Fabric which is widely used for making bags for pasticides, Wall Putty, Cement Paints, packing Milk Powder etc. At present days, this Kraft Paper Laminated HDPE/PP fabric is being used for making Export Cartons etc and wrapping of Machines for Export. Printed Polyester laminated fabric is being used for making Rice, Flour bags etc. We manufacture and supply HDPE laminated fabric, also known as paper laminated fabric. We manufacture brown Kraft paper, White maplito laminated, HDPE laminated fabric & laminated bags. Which are used for packing of skimmed milk powder, pesticides, sheets, cement, urea, fertilizers, wall putty etc.